The forgotten story of Mozart’s sister, performed by one extraordinary actress. Called “Fascinating and irresistibly intelligent” by Theatermania, Little Matchstick Factory’s The Other Mozart is the true, forgotten story of Nannerl Mozart, the sister of Amadeus—a prodigy, keyboard virtuoso, and composer who performed throughout Europe with her brother, to equal acclaim. But her work and her story faded away, lost to history. With opulent beauty, this multi-sensory experience transports the audience to a world of outsized spectacle and delight—and also of overwhelming restrictions and prejudice. 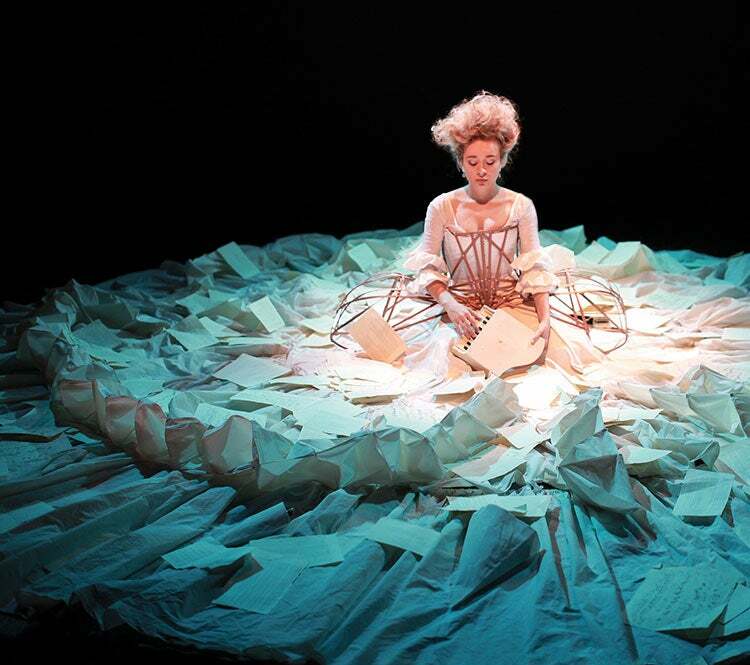 There, in communion with the audience, this other Mozart, portrayed by actress and creator Sylvia Milo in a stunning 18-foot dress, tells her story through the Mozart family’s humorous and heartbreaking letters. Sponsored by MSU Federal Credit Union. Run time is approximately 80 minutes with no intermission. There will be an Insight Preview before the performance in the Jackson Lounge. There will be an After Chat immediately following the performance. Company members will lead a brief discussion and take questions from the audience inside the Pasant Theatre.